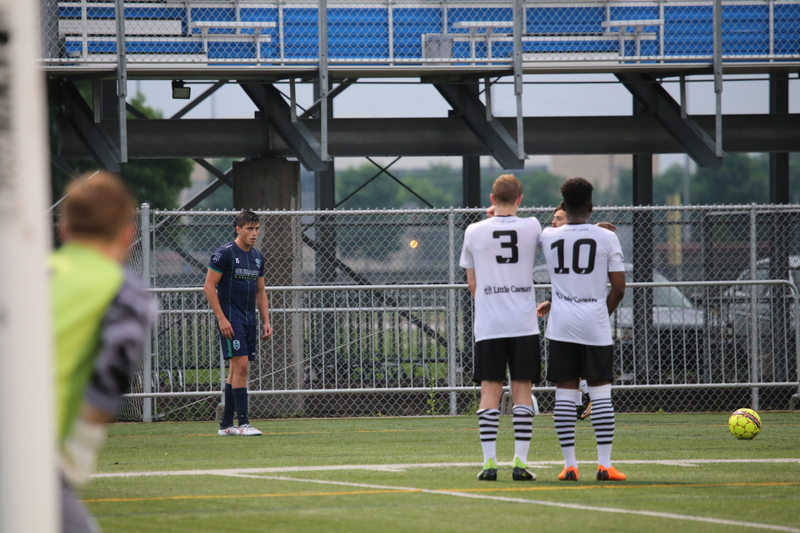 A rainy night slipped out of control between Med City FC and Minneapolis City SC after the final whistle. Players and coaches got into an argument, with taunting uttered in mostly hushed tones, as the post-match scene fell into chaos. According to chatter on the field, uneven refereeing seemed to be the cause of the row. One such example was apparent inconsistency in calling diving, and a goal called back for Med City that would have tied the game at 1-1. The ref seemed to explain that an elbow had been thrown, but then later explained that it was a handball call from a Med City player felled in the box, which caused his elbow to hit the ball. In another example, a City player was not protected from what looked to be a high boot. Additionally, both teams had different views on what were some very poor tackles on the night. Whatever the interpretation of the officiating, the game played out simply in the end: Med City had most of the possession and half-chances, dominating the beginning of both halves, but the Crows finished two of its three chances — one goal an absolute upper-90 scorcher from Nick Hutton. 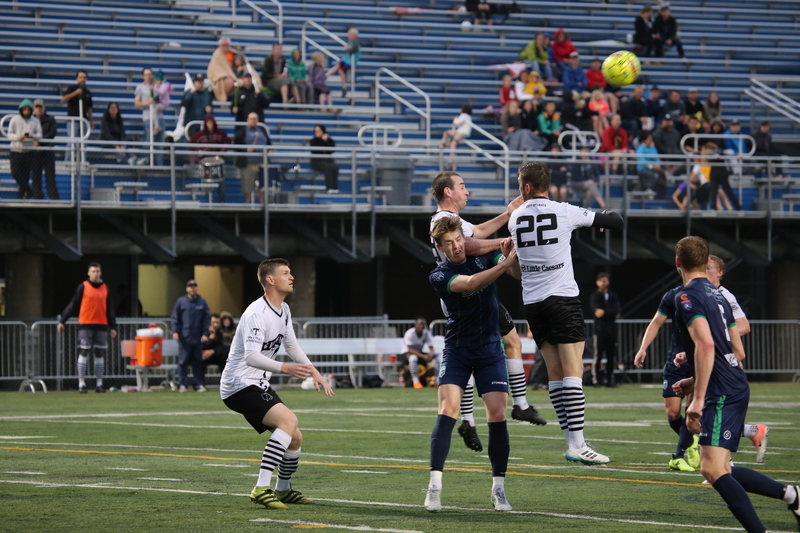 “Every year what’s really important for us in the NPSL is you take a really hard look at what you did, what’s made you successful, and what you can improve on,” Minneapolis City head coach Adam Pribyl said. For the Crows, it was organization and players being committed. In this particular match the Crows looked to counterattack Med City, looking for a fast break when wing backs were higher up the pitch. It was almost title-winning Leicester in its approach to the game. And, like that side, City does not look likely to give up its lead in the league tables. But for 18 minutes in the first half, it was all Med City, save for a Martin Browne volley from distance that went over its intended target. Then, Hutton thundered in a goal in the 19th minute. The winger utilized pure pace as he beat one defender, faked out another with a neat turn of the hips, before striking the ball cleanly and powerfully. With more than 30 minutes played, Med City defender Ignacio Milla had to come out injured after jumping up for a header and being subsequently launched into the away team’s bench. 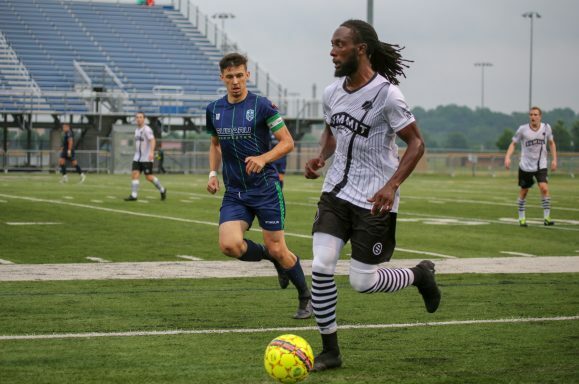 It seemed a 50/50 challenge, and maybe owed the dire turn of events thanks to the wet turf, but players had been called, and would be called, for upending others going up for headers. In the 37th minute, Finlay Bloodworth found himself on the end of a far-post cross, but headed it just wide across the goal with the goalkeeper rooted to the spot. Before halftime it was 2-0 after Will Kidd sprinted onto a ball and got around goalkeeper Nate Levy, who looked a bit hesitant to come out to challenge with a Medic defender close by for support. The home side came out into the second half on top again. Nine minutes into the second half Francisco Neto scored from a free kick, and it was mostly Med City after that as well. 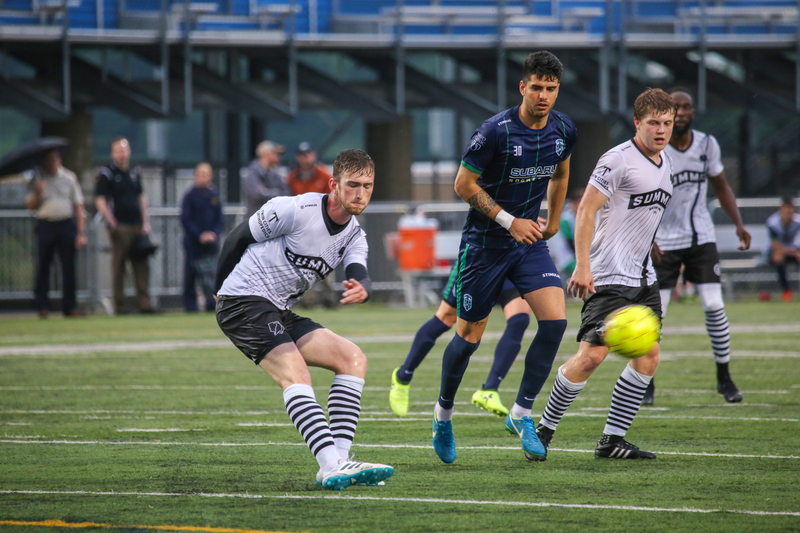 The team’s pressure was unrelenting, but the home side could not find the net, and Minneapolis City defended well, even though Crow defender Max Kent had a scare when he nearly cleared into his own goal from a dangerous Neto cross. Neto would remain the largest threat on the field for the Medics, but it was Claudio Repetto who came closest to scoring the team’s second goal when he wrapped his foot around a throw-in at the top of the 18 and curled it around the post. And that was that save for the post-match kerfuffle.